Police and Crime Commissioner, Jason Ablewhite is today (May 12) marking his first year in office by sharing some of the highlights. Elected into the role on 5th May 2016, the Commissioner has spent his first year meeting members of the public and local organisations involved in keeping the county safe, in order to understand local concerns and produce his first Police and Crime Plan. The Plan outlines objectives for the Constabulary over the next 3 years. The Commissioner spent his first day (May 12) out on patrol with local police officers in Cambridge city. “The Constabulary has faced a number of challenges over the past 12 months. Although overall crime remains lower than previously, levels of recorded crime for certain crime types have risen, largely due to the way crime is now recorded, reporting of historic incidents and increasing confidence of victims to come forward.  However, the good news is that Cambridgeshire remains one of the safest places to live in the country. “Supporting victims to cope and recover from their experiences will always be a top priority for me. 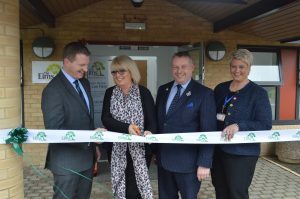 Opening the new county-wide Sexual Assault Referral Centre in Hinchingbrooke Hospital, (The Elms) in March, remains a memorable day. Knowing that victims can access a safe place to receive medical aftercare, forensic examinations, support and to anonymously report sexual assaults is an important achievement for everyone concerned. “I also want to help vulnerable offenders rebuild their lives and stop them from reoffending. I am pleased to have been able to extend Appropriate Adult support for children, young people and adults with learning difficulties coming into custody. Support is now available county-wide, 24 hours a day. 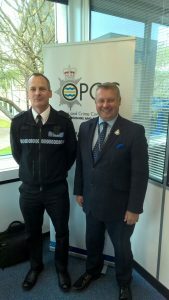 “Working with HMP Peterborough and Outside Links, I have also been able to extend a conditional cautions scheme to help steer offenders away from a life of criminality: putting in place suitable conditions and support which could be about tackling housing issues, drugs or alcohol misuse and support for debt management. 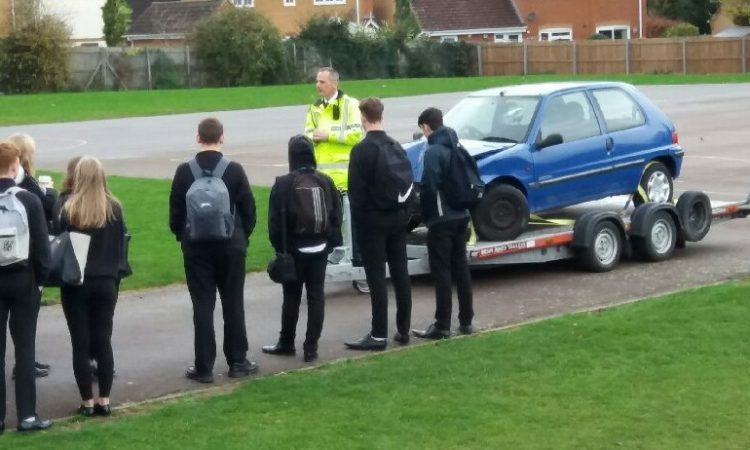 “Every death and life changing injury which happens as a result of a road collision on our roads is one too many. 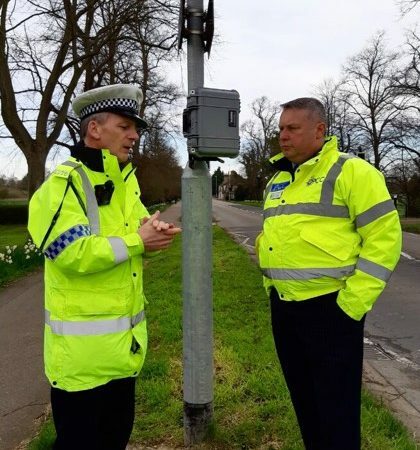 Funding a new Police Casualty Reduction Officer to help reduce the number of collisions on our roads is another key milestone. “The biggest highlight for me has been representing the public. I have met some amazing, talented and dedicated members of the community – at public surgeries, police contact points and while out with local policing teams. I want to thank all the officers and staff who have helped introduce me to the Constabulary.